Nagamese Christian Revival Church Youth Association (NCRCYA) formed in 2014, under the Nagamese Christian Revival Church Association conducted music training camps in Kohima and Dimapur. In a release, associate pastor Garden Mission Church, Sovima, Nini Sekhose said music training was necessitated to expose and train the Nagamese youth for choir singing. She stated that after the formation of the youth association the youth of the Nagamese churches have been able to come together for the first time in the 53 years history of NCRC. 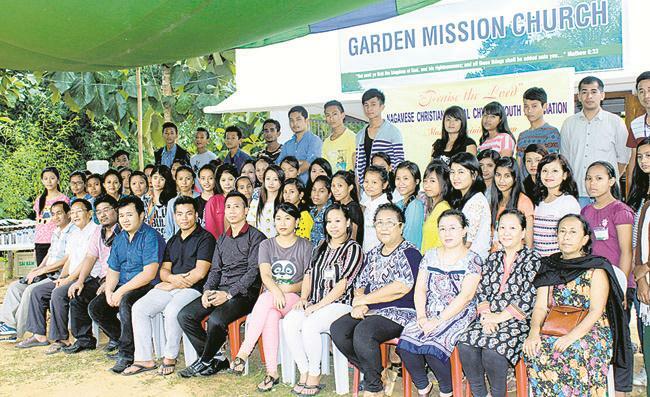 It stated that the programme was held at Sovima at the Garden Mission Church from October 21 to 24, attended by 57 Nagamese church’s youth leaders from various churches of Dimapur. ZOver 20 houses were destroyed in a devastating fire incident here at Alahuto colony junction Monday evening. Though some were injured in the incident no loss of life was reported. Fire suspected to have caused by candle reportedly broke out at around 5:30 p.m. and engulfed a number of shops and residences mostly timber houses. Fire services and police personnel swung into action but the blazing fire and narrow road obstructed prompt action. With the collective efforts from various NGOs- Sümi Hoho, Concerned Citizens Forum Zunheboto (CCFZ), Kukami/GBs, ZTYO volunteers, Alahuto youth volunteers and several others, the fire was finally brought under control after several hours. 5 Asaam Rifles Zunheboto led by Col. Sachit Suri along with trained fire fighters, fire extinguishers and water tank vehicles also prevented further tragedy. The traffic police and security forces had a hard time managing the panic stricken crowd which hampered movement of fire fighters. District administration led by ADC Zunheboto Amen Imchen and SDO Shanavas IAS were also present. Zunheboto to police led by Addl SP Relo T Aye was also physically involved in fire fighting along with others. The number of affected people, number of houses and estimates of losses were yet to be ascertained. All the affected fire victims however could not salvage anything. Meantime, Sumi Hoho vice president Khehoshe H Yepthomi who was also present along with general secretary Vihuto Asumi and other colleagues lauded the collective efforts of all citizens and further extended gratitude to the district administration Police, fire brigade, youth volunteers and 5 AR for their help.